Ever heard the phrase “look before you leap”? There’s a reason it’s such a common idiom, and there’s a reason expert home remodeling companies know not to begin construction before visualizing their end result. At Thaddeus Drew, we are proud to say that our renderings are 95% accurate to the forecasted build. Renderings are included in the cost of the design process and typically take around 5-10 days to complete depending on the complexity of the project. Our clients are able to change their selections or modify the scope of work as many times as they like based on the renderings. 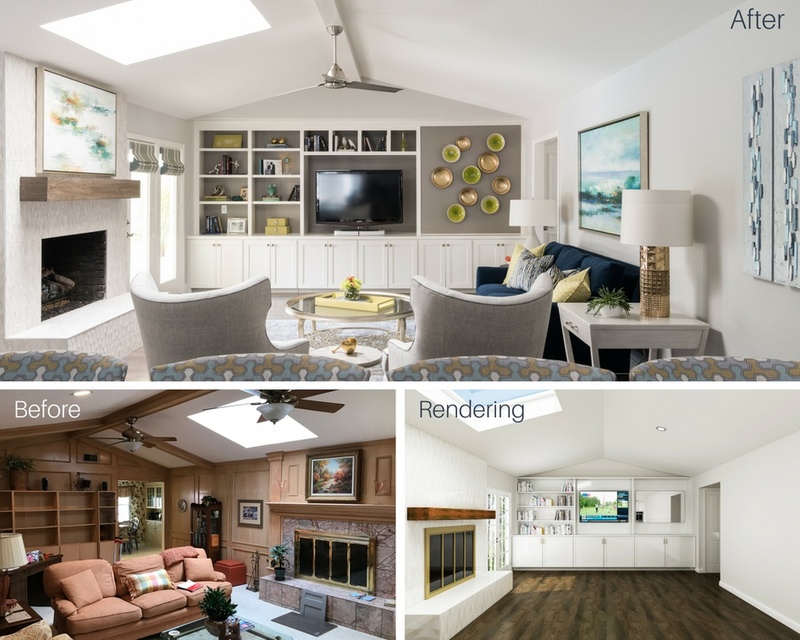 3D renderings enable you and your remodeling company to literally be on the same page about your project; and to communicate more effectively about what exactly you do and don’t like about your proposed renovation changes through concrete visuals. As always, our top priority is your satisfaction. We want to make sure you’re getting what you want, so we offer in-house design and rendering services so you can consult with professionals and see the end result of your ideas before you invest in them financially. 3D renderings not only facilitate communication, but also allow you to change course before it’s too late. 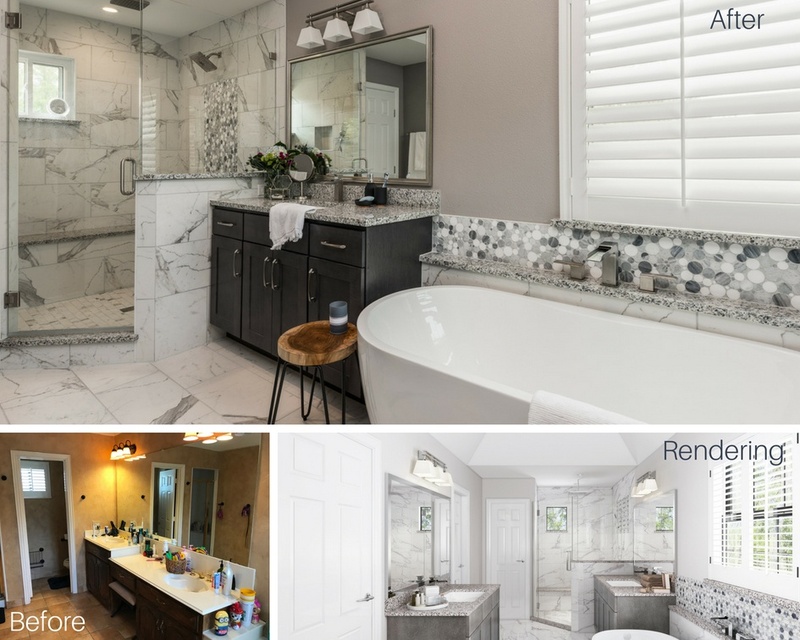 Consider this scenario: you think you like an idea and your remodeler likes it too. The two of you collaborate and put together 2D blueprints of the proposed remodel. Say you even manage to envision the same idea without seeing it 3D. You move forward and build it, and it’s exactly what you both agreed on. Chances are, even if your end product matches your established goals, you may not like what you’ve built. This is because things look completely different 2D than 3D. When you’re looking at a 2D blueprint, it’s nearly impossible to visualize the amount of space you’ll have between fixtures and how your room flow will feel. You can easily design an awkward bathroom by trying to cram in every fixture you want simply because you don’t really know what it will end up looking like. 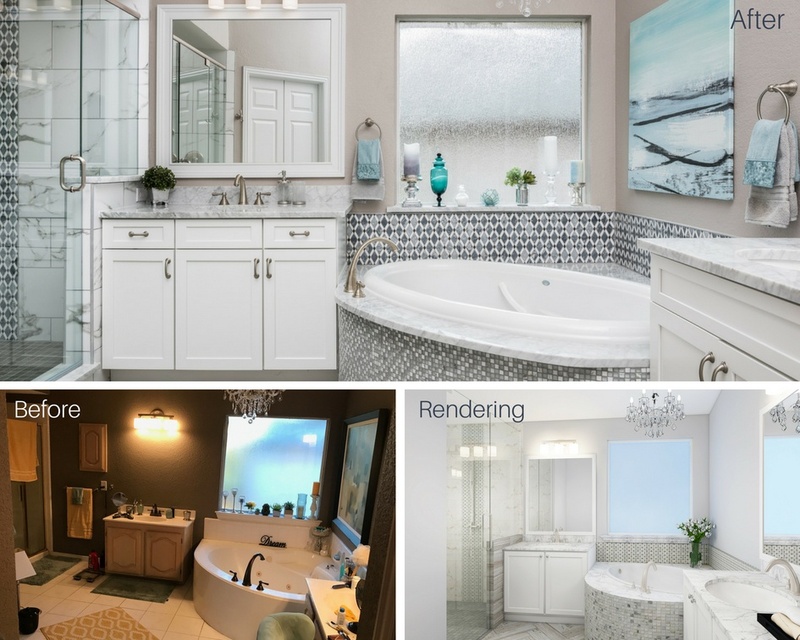 A 3D tour of your proposed bathroom remodel, however, allows you to understand how what you’ve proposed will practically translate into day-to-day use. 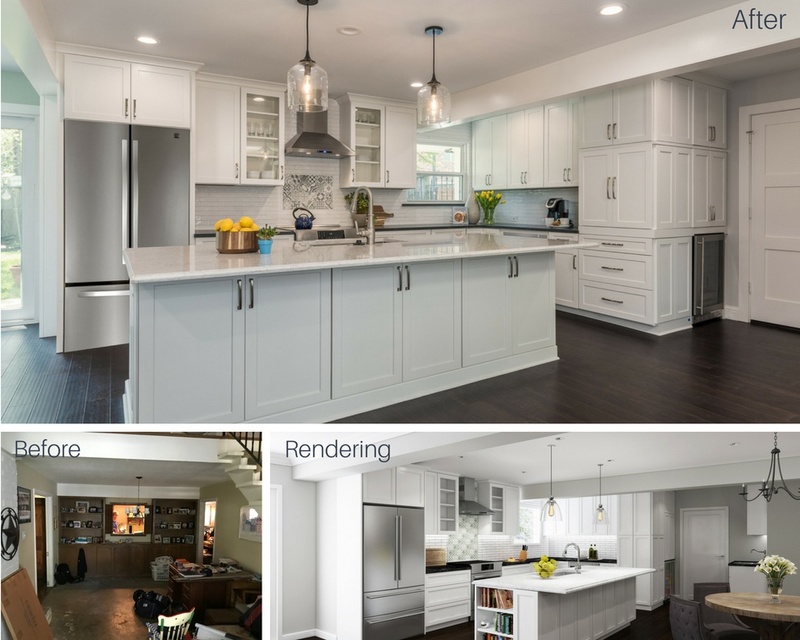 Ultimately, 3D renderings will allow you to avoid design faux-pas on your Dallas area remodeling project that can cost you some serious time and money. You’ll be able to revise unworkable ideas up front rather than having to install and rework your space while investing in unnecessary materials, labor, and time. 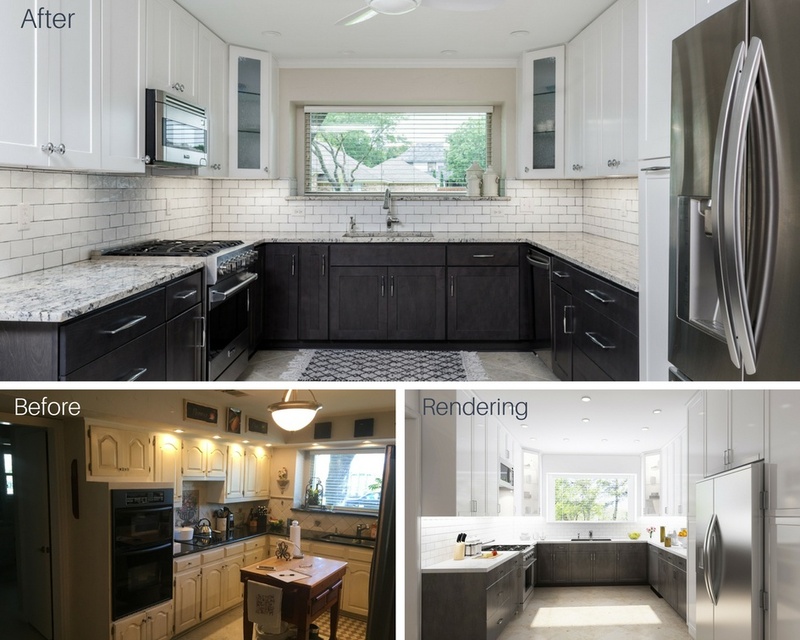 There is no better way to visualize a remodel than by looking at it's 3D renderings. Our team takes pride in the fact that our 3D renderings are 95% accurate to the forecasted build. This means what you see is what you get. We want you to love your home and we are here to make that happen. We meet you in your home to discuss your goals and to brainstorm possibilities. We look through your idea collections to understand your vision. Finally, we gather dimensions and solidify the project’s scope. We present an initial proposal with allowances, revise it as necessary, and agree upon a final proposal. We meet at our design center to have you pick out all your selections. With your goals and materials in place, we will get a design rendering to you. At this point, we meet with you again to discuss the 3D designs and make modifications as you see fit. Once you like what you see, we’ll get a final sign off, we schedule the project start and order all materials at once. We know the importance of giving our clients what they actually want. This is why we take such care to ensure they first know what they want before they finalize their direction. To begin a discussion about your personal project and move toward 3D design renderings, contact us today.